The new Academic Building at the University of Sussex has been a great addition to the university. The job of securing the building fell to our team and we were more than happy to take on the project. 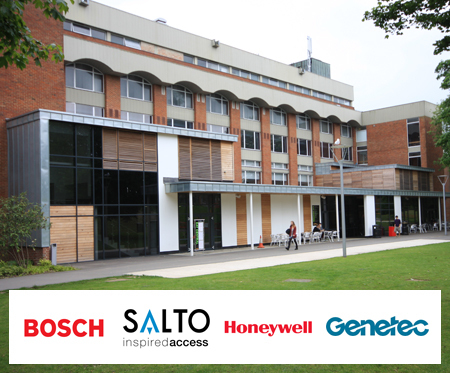 With a high-end security design consisting of a 100 circuit Honeywell intruder alarm system, 50 Bosch IP video cameras with Genetec Security Centre Software plus a Salto access control system our installation team had a large project on their hands. With a deadline to meet, it was key for everyone to work efficiently without missing the keen eye for detail we pride ourselves on. With this assured, the £100k project was delivered in budget and on time. During the coming months after opening, the new Academic building will be occupied by the School of Business, Management and Economics. This particular project tested the strength of our installation team but we prevailed whilst maintaining the high standard of detail we take pride in. 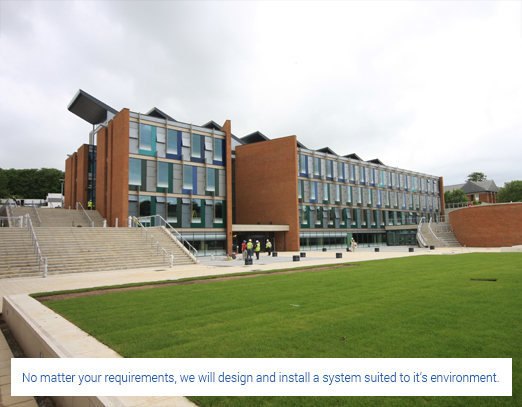 We have worked with the University of Sussex on various projects prior to this and hope to maintain a close relationship with them for many years to come.